Homeschool transcripts are detailed records of coursework and activities your student completed while in high school. Your teen will need to submit transcripts to anyone who needs to evaluate his or her high school performance, such as scholarship committees, colleges and universities, trade schools, the military and potential employers. As such, make sure your teen's home school transcript is typed, well-organized, and free of typos, grammar and spelling errors. To prepare your teen's transcripts, begin by stating his or her full name, gender, date of birth, social security number, address, telephone number, parents' name and school year. Next, list the courses your child took during his or her freshman, sophomore, junior and senior years, along with a grade for each course. Then, calculate your teen's GPA for each year, along with a cumulative GPA for all 4 years. If your child has significant nonacademic accomplishments, you may also include a separate page listing extracurricular activities, volunteerism, outside employment and awards. Here are two forms you can use to create your homeschool transcripts by entering your information in the spaces provided. To change the headings, subject titles, grades and descriptions, simply place your cursor over the text you want to change and begin typing. Creating transcripts for your child can feel overwhelming and frustrating, especially if you did not use a traditional textbook program for high school. However, don't be discouraged, help is on the way! Lee Binz is a homeschool mom of two who prepared transcripts that earned both of her sons full scholarships to their first choice universities. In addition to running The Home Scholar, a website for parents who are homeschooling through high school, Lee has published an e-book and other training resources to share her simple method for preparing transcripts with homeschoolers like you. 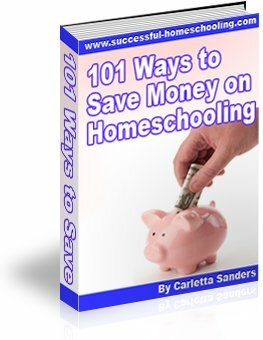 a free, 1-month membership to her Gold Care Club which gives you access to video courses and training materials about homeschooling high school, along with 20 minutes of free weekly telephone or e-mail consultation with Lee. Follow this link to read my review of Lee's book, The Easy Truth About Homeschool Transcripts. Follow this link to read testimonials from other parents and learn more about Lee's Total Transcript Solution.